Monday, October 17, 2016, was Wyclef Jean's birthday and guess who was there to celebrate with him? Omawumi! The singer who is currently in New York hooked up with the Haitian singer. 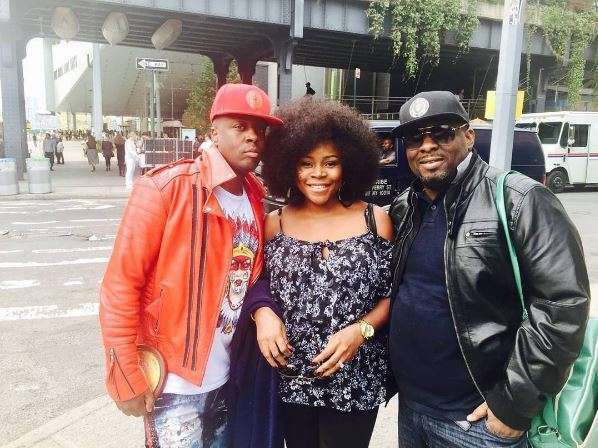 "Feel This Composition... @wyclefjean @obiasika and my humble self... Happy Birthday Oga Wyclef. May your reign be long and sweet. #omawumi #cabaltins #timeless," she captioned the shot.